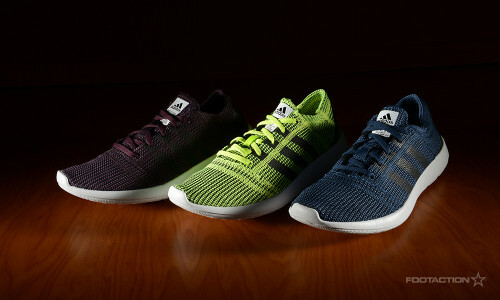 The adidas Element Refine is a special sneaker that is both environmentally conscious and strategically designed. Lightweight and built for performance, the shoe encapsulates seams and circular mesh developed over extensive research from a conservational perspective. The sneaker arrives in three colorways: Rich Red/Black, Rich Blue/Black and Slime/Black which you can see the slideshow. Print article This entry was posted by hhcblog on March 15, 2014 at 7:28 am, and is filed under Footwear. Follow any responses to this post through RSS 2.0. You can leave a response or trackback from your own site.